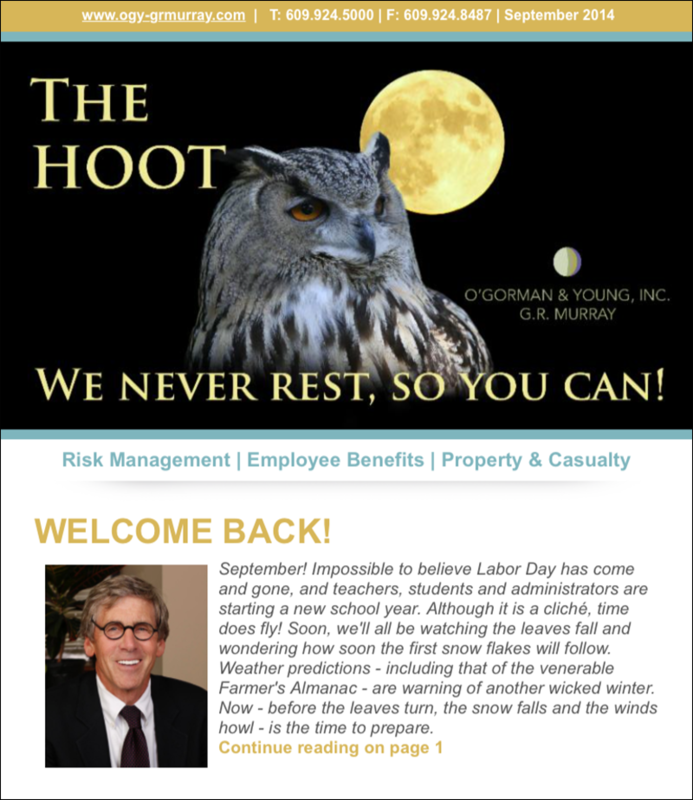 The “HOOT” is a quarterly e-newsletter for OGY G.R. Murray, a full-service management consulting firm. Design of the “HOOT” coordinates with the G.R. Murray brand. idesign communications also designs ads for OGY G.R. Murray as well as producing and distributing the “WOO” (Wise Owl Outlook) which are shorter and more frequent e-messages to the distribution list.